Reasonably Priced at $99. Start with a 7-day Free Trial. 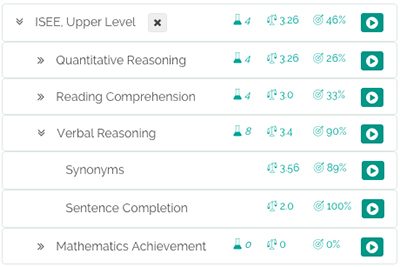 Piqosity offers 7 full-length, level-specific ISEE practice tests each for the Upper, Middle, or Lower Level. 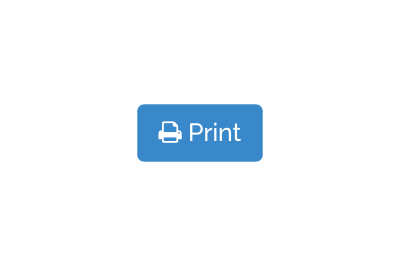 All content including full-length tests and individualized practice sets are downloadable as PDF for easy printing. 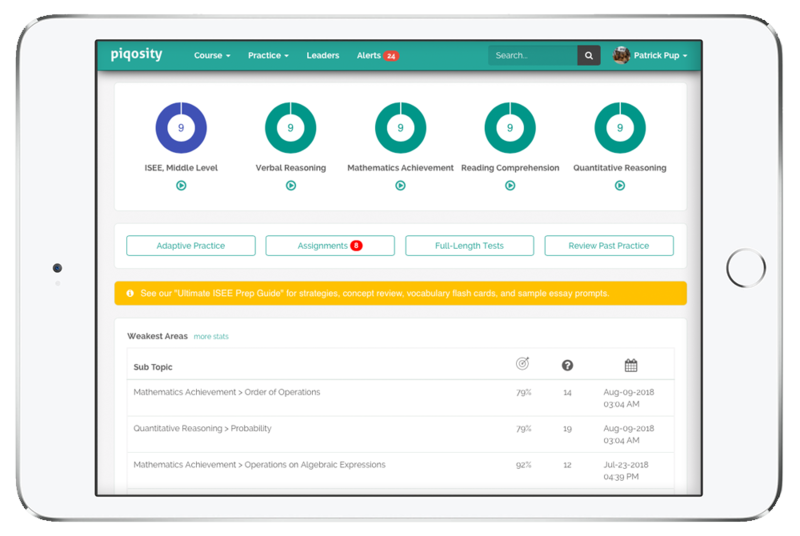 Piqosity estimates a student’s test-day stanine scores (overall and sub-tests) in real time with each practice set. 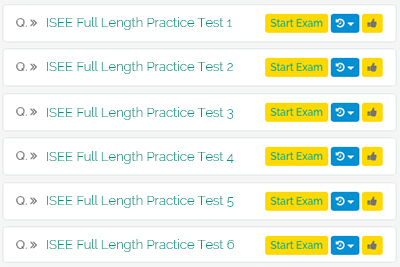 Every ISEE practice test question contains at least 1 answer explanation, and students can request additional ones from our experts. The Independent School Entrance Exam (ISEE) is administered by the non-profit group Educational Records Bureau (ERB), which current private school families may recognize from the popular in-school exam CTP-4. Students can take the ISEE up to three times a year, and they can choose which scores to submit for schools to see. 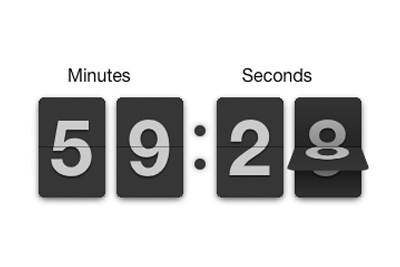 The test is generally administered at local-area private schools on pencil and paper WITHOUT a calculator. 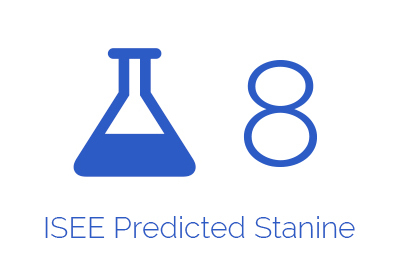 Each of the five sections of the ISEE is scored from 1 to 9, with 9 being best but scores of 4, 5, and 6 being average. The ISEE is a peer-normed test, meaning that scores are determined by how well students did in prior years. The ISEE is offered in multiple levels depending to which grade your child is applying: Upper (9-12), Middle (7&8), Lower (5&6), and Primary (2-4). 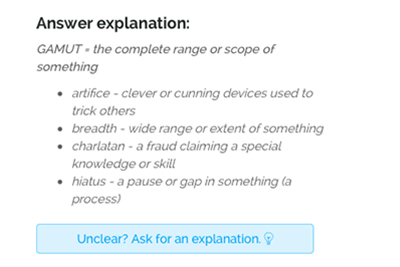 Click on a level below to learn more about each level.